Update: A new version is out. Many cool new featues. There is a belief among cloud evangelists that the web interface is going to completely dominate all software. In the future, we will all be using the web browsers for everything. I, for one, hope that day never comes. There is something I just like about the feel of a desktop app. I’m used to things like right-clicking, drag-and-drop, keyboard shortcuts. The desktop app is something I’ve missed since moving to the PLM 360 team. With that in mind I decided to create (dun-dun-DUNNNN) The TTP Project. Actually, a working desktop app was a secondary goal of mine, one which I didn’t quite achieve. Although the app works, it’s not something an end user would find useful in it’s current state. Maybe that will change in the future. My main goal was to come up with a prototype SDK library for the PLM REST API. That goal came out much better. The PLM360Utils project has some goodies for .NET developers. For example, with a few lines of code, you can completely bypass steps 1-7 of the Authentication process. The DLL does all the OAuth stuff for you so that you don’t have to. Other features include wrappers for some REST calls and an easy mechanism for defining wrappers that I didn’t include. Keep in mind this isn’t an official library or anything. It’s just something I’m playing around with. So let me know what you think. Go to Edit->Settings to set the PLM 360 site you want to work with. Go to File->Login to log in to PLM 360. Browse a workspace by clicking on the workspace name on the left pane. Add or edit an item by running the commands under the Edit menu. For .NET developers, here are some highlights from the PLM360Utils. 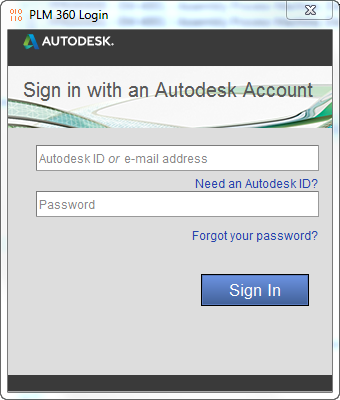 The library will pop up UI to the user that takes them to the Autodesk single-sign-on page. If the login succeeds, you get back a Connection object. Connections are mainly for running Operations. Each Operation object represents a single REST API call. Here is an example. PagedCollection and Workspace are Payload objects. PLM360Utils takes care of the JSON serialization. If you want to use a REST endpoint that doesn’t yet have an Operation object, you can easily create your own. Just follow the pattern from the existing classes. For example, here is the entire Operation class for updating an item. There is not much code because the Operation base class does most of the work. The subclass just has to define things like the input type, the output type, the http verb and the URL. Complex REST calls, like ones that involve binary data, are not yet supported by PLM360Utils. So you will have to get the HttpClient from the Connection and make the REST calls directly. The basics of paging are already described up on the PLM 360 online help. But for today’s article, I’d like to go a bit deeper. I’ll also be answering some “why did they do it that way” style questions. If an endpoint supports paging, it will say so in the documentation. In most cases, it’s a GET call, like when getting the items in a workspace. Page parameters are passed in as query parameters, which are part of the endpoint API documentation. If the documentation doesn’t list any query parameters, then paging is not supported. If you try to use paging query parameters with an endpoint that does not support paging, you will get a GEN_PAGING_NOT_SUPPORTED error. Sometimes a POST call will support paging. In these cases, the input payload has the paging parameters, not the query string. Another thing different about POST calls is that the nextUrl and prevUrl values are null in the returned PagedCollection. Since POST calls require data in the body of the HTTP request, the URL doesn’t contain enough data to run the operation. There is no upper bound to the “page” parameter. You can grab page 100000 if you want. The call will succeed even if the object list finished at page 3. Go ahead, try it. Try the URL api/v2/workspaces/1/items?page=99999999 in your tenant. You get back an empty set. You don’t get a nextUrl for obvious reasons, but it does provide a prevUrl. This is because REST paging doesn’t yet have a totalCount feature (sorry). So REST doesn’t know if the previous page contains items or not. Allows paging to be added in the future without changing the return schema, which would be a breaking change. Previously Vault would only load plug-ins from one location. Starting in 2014, it now can load plug-ins from 3 locations. Two new locations were added to support the App Manager. So if you are creating an app for the Vault Exchange store, you can install to the locations that App Manager is used to working with. Setting up the PackageContents.xml for the app store should be pretty straightforward for a Vault app. The only major difference is that instead of pointing to a DLL, a Vault module should point to the .vcet.config file. You should also have your plug-in DLLs in the same folder as your .vcet.config file. The Oxygen team just added a feature that allows *.autodeskplm360.net as the scope on a Consumer Key. Previously you couldn’t have a wildcard in the front, which meant your key would only work on a specific PLM 360 tenant. 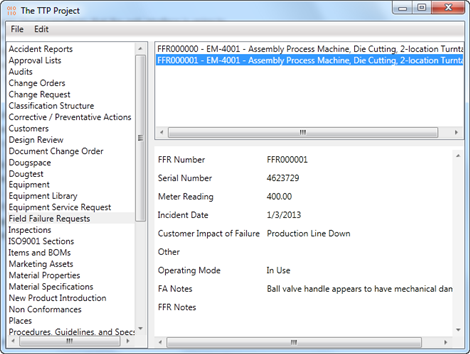 Now you can use the *.autodeskplm360.net scope to write apps that work with all PLM 360 tenants. Of course, you can still scope things to a specific tenant if you want. A narrow scope is useful for things like in-house utilities and consulting projects. If you already have an Oxygen key, you can get the scope changed. Just make another key request and indicate that you want the scope updated on your existing key. Make sure to include your public Consumer Key in the request. A couple weeks ago, I blogged about the Loader Framework. One of the key components of that framework is the .vcet.config. It’s basically the file that tells the Loader what to load and how to load it. In the knowledgebase of the SDK is the specification for the XML syntax. It’s the v3 version of schema which was introduced in Vault 2014. Ability to provide name/value pairs for your extension. Different ways to locate referenced assemblies. Ability to load an extension only in an x86 and x64 environment. Different formats for identifying a .NET type. Below is the full spec, copied from the SDK documentation. This is the top-level tag. There should be one and only one of these tags. This tag is a collection of extensions. It is directly below <configuration>. There should be one and only one of these tags. This tag defines a component to be loaded at runtime. - interface - The "type name" of the interface implemented by the extension. - type - The "type name" of the class that implements the extension interface. The assembly must be in the same folder as the .vcet.config file. - runtime - The "runtime requirement" of the extension. The default value is "Any"
This tag provides meta-data for the extension in the form of a key/value pair. - value - The value of the meta data. 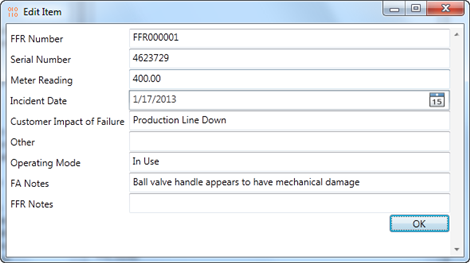 This tag provides locations to look for referenced assemblies. This is useful if an extension references other assemblies that are not in the same folder as the extension. - lookup - This is a "lookup type", which determines how folders are located. - appendToPath - This is a Boolean value that determines of the resolve folder should be appended to the PATH environment variable. This is useful when loading Win32 and COM components. The default value is "false". Lookup-specific attributes: These attributes may be required depending on the lookup type. - path - The path relative to the extension assembly. Used only if the lookup value is "RelativeToExtension". - regkey - The registry key name. Used only if the lookup value is "Registry". - regname - The name of the registry key. Used only if the lookup value is "Registry". This value specifies the algorithm to use when locating paths on disk. - ExplorerClient - The resolve path is the directory where the Vault client EXE lives. If multiple clients are installed, it will the the highest tier product. For example, the Vault Professional path will be used over the Vault Basic path. If multiple client versions are installed, only the one matching the Vault framework are used. For example the Vault 2014 framework will only resolve paths for Vault 2014 clients. - Registry - The resolve path is located by looking up a registry key. The registry value can be a folder path or a file path. In the case of a file path, the parent folder becomes the resolve path. The 'regkey' and 'regname' attributes are required for this lookup type. - RelativeToExtension - The resolve path is defined relative to the assembly path. This value specifies the runtime environment required for the extension to run. - x86 - The extension can only be loaded if the running app is 32 bit. - x64 - The extension can only be loaded if the running app is 64 bit. - Any - The extension can be loaded regardless of whether the running app is 32 or 64 bit. This is the default option. This is the identifier for a .NET type. It is based off of the .NET syntax. There are two possible formats. If the complex format is used, then the version, culture and public key token must match the assembly in order for the extension to load.